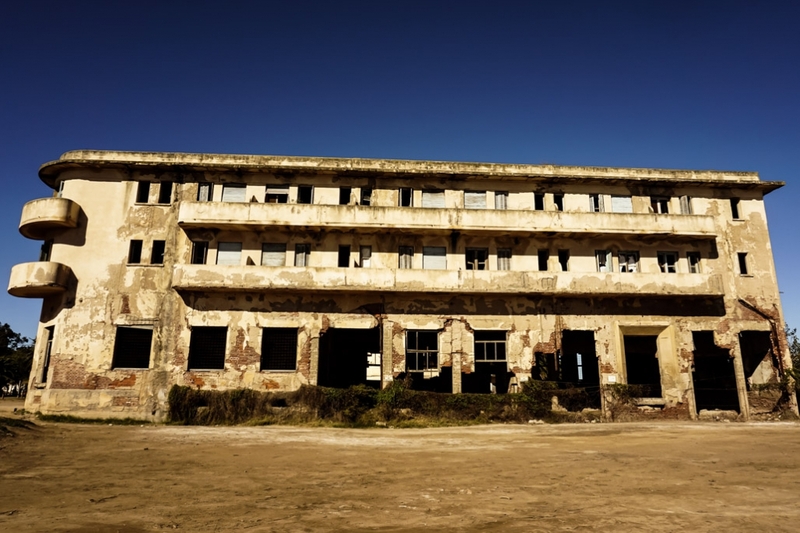 In the small Argentinian town of Miramar, just outside Cordoba, rests the skeleton of a once luxurious hotel. Framed by the foaming Mar Chiquita Lagoon, stretching as far as the eye can see. 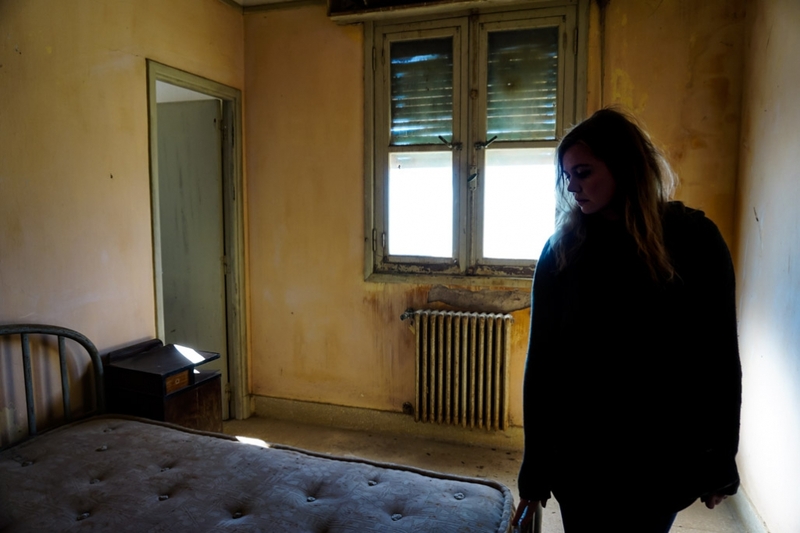 The now abandoned and decaying Gran Hotel Viena has a strange and mysterious history, as well as many ghost stories, which have kept it open as a tourist attraction. 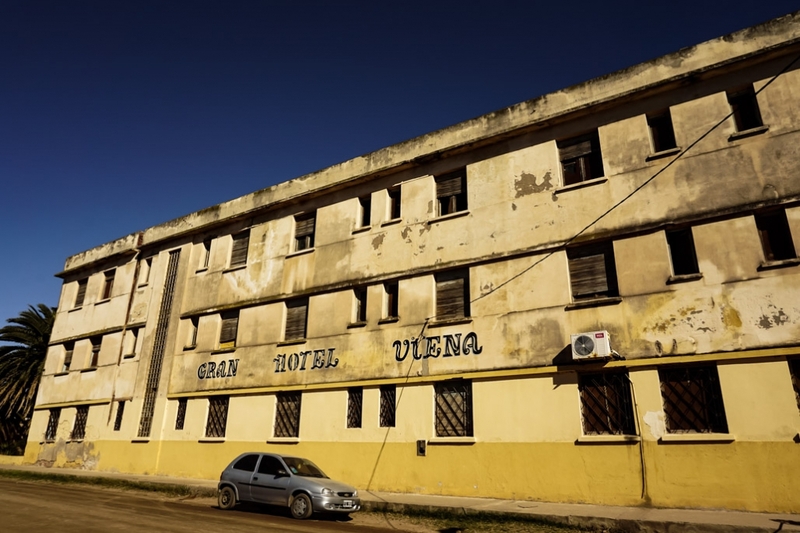 Outside of the now abandoned and haunted Gran Hotel Viena in Miramar, Argentina. The Gran Hotel Viena was built by a German family who had arrived in Miramar after learning of the healing properties of the Mar Chiquita Lagoon. By 1938 the Pahlke family had built the first section of the hotel. Construction continued into the early 1940s, creating one of the most luxurious retreats in Argentina. Many visitors, especially from Europe, frequented the establishment which boasted a hairdresser, grand dining room, air conditioning, heating and a two sided pool. The perfect place for high society and their families to escape day to day life. 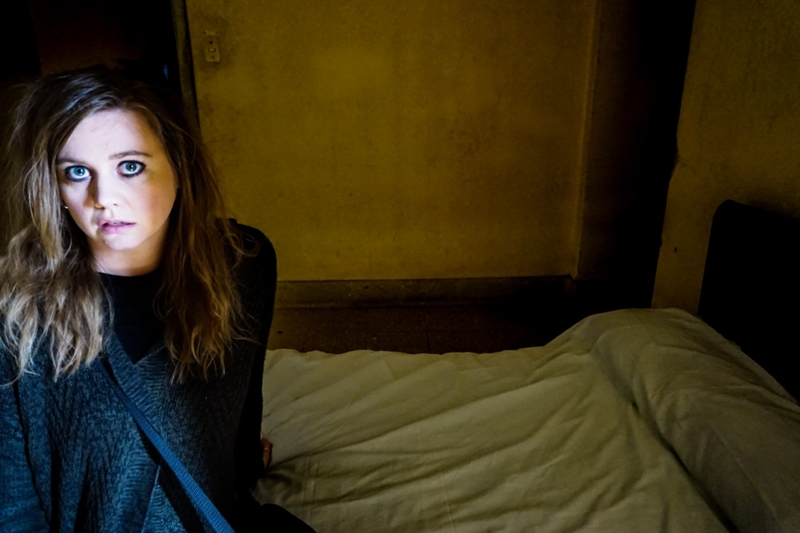 Staring down a dark hallway inside the spooky Gran Hotel Viena. Though the hotel was opulent it was also shrouded in mystery. Majority of its construction was undertaken between 1940 and 1945 with the hotel closing down in 1946. Many believe that the structure was in fact built by Nazi capitals who intended it to be used as a hospital for soldiers and generals during WWII. Some even believe rumors that Hitler fled to the hotel after the war. Ghost hunting inside the haunted rooms of the Gran Hotel Viena in Miramar, just outside Cordoba, Argentina. The Gran Hotel Viena’s imposing appearance, paired with its mysterious history has caused it to become one of the most feared places in town and thought to be one of the most haunted places in Argentina. 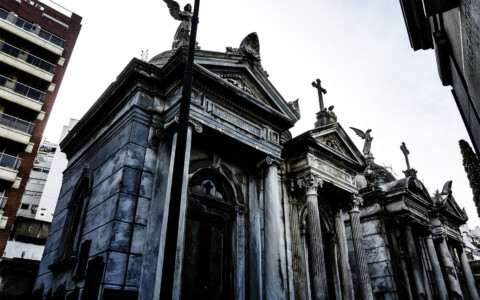 Looking up at one of Argentina’s most haunted buildings. One of the most prevalent ghost stories of the Gran Hotel Viena is associated with a death that occurred within it. In 1946 the Pahlke family left the hotel, closing it down and leaving their head of security, Martin Krueger, in charge of the building. Krueger was a proud war veteran who has earned many medals during the World War and lived on site inside of the hotel. In 1948 Krueger was found dead, hunched lifeless over a table with a bottle of alcohol, glass and some cotton resting on it nearby. 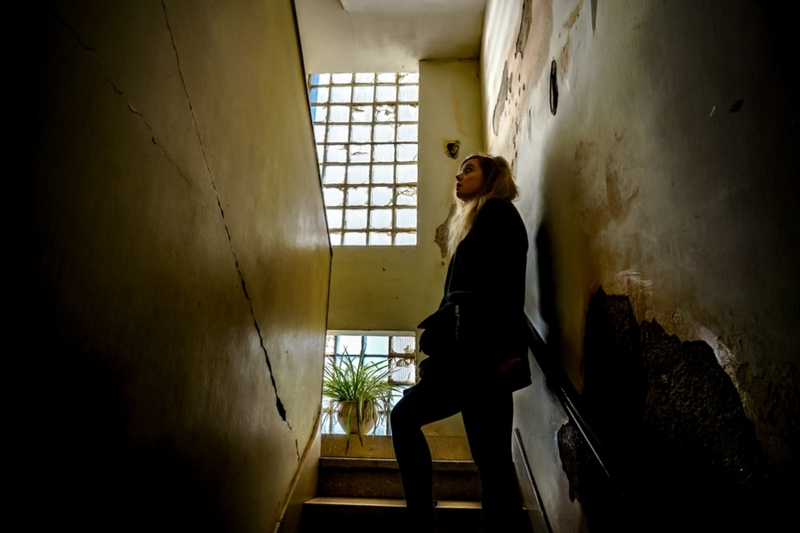 Looking for the ghosts of the Gran Hotel Viena in Argentina. Krueger’s death remains a mystery as to whether he was murdered or committed suicide. Though he certainly died from ingesting poison. It is believed that the ghost of Martin Krueger continues to haunt the Gran Hotel Viena. 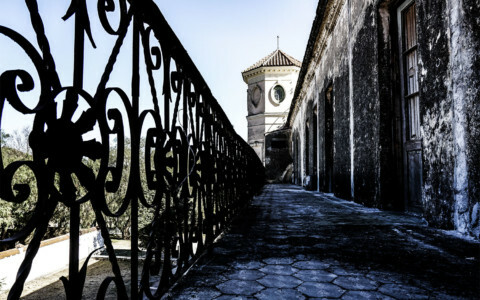 He is believed responsible for creating the sounds of keys and heavy footsteps walking up the stairs and down the hallways of the empty hotel, often reported by tour guides. His apparition has also been spotted, usually within his former bedroom, number 106. Ascending the stairs inside the abandoned Gran Hotel Viena, Miramar. The apparition of a female has also been spotted throughout the haunted Gran Hotel Viena, she is rumored to be the unofficial lover of Martin Krueger. In addition, many have sighted the ghost of a little girl, shadow figures and light anomalies. 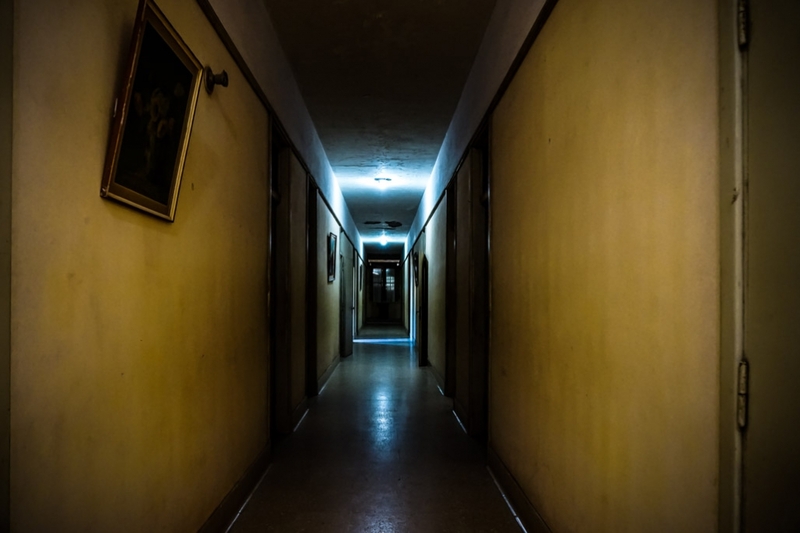 There are even frequent reports of disembodied voices, unexplained music, electrical disturbances and objects such as doors moving on their own. 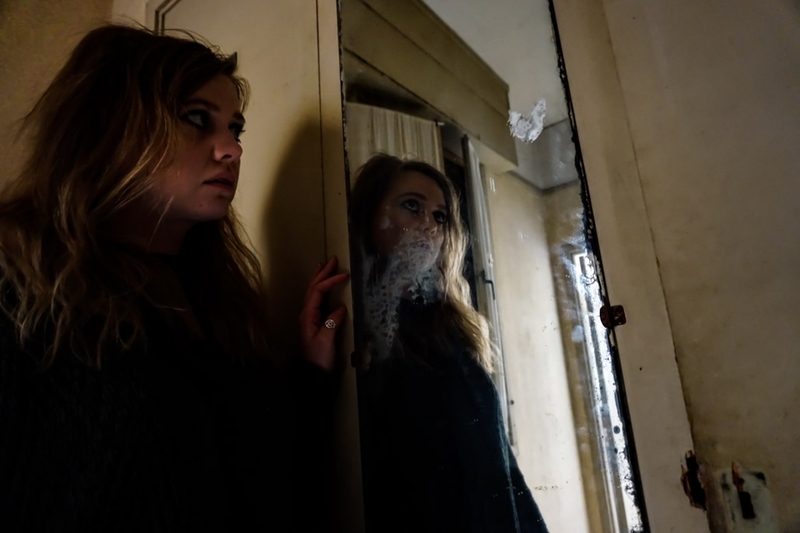 Looking into creepy mirrors inside abandoned hotels in Argentina. You can watch a video of my exploration of the Gran Hotel Viena, where I held a spirit box session inside of Room 106. The front of the once grand but now abandoned and haunted Gran Hotel Viena. Today, the Gran Hotel Viena continues to stand and likely holds many secrets withins its cracking walls. Guided tours in Spanish are available, which take you through the hotel and provide comprehensive information about its mysterious history. 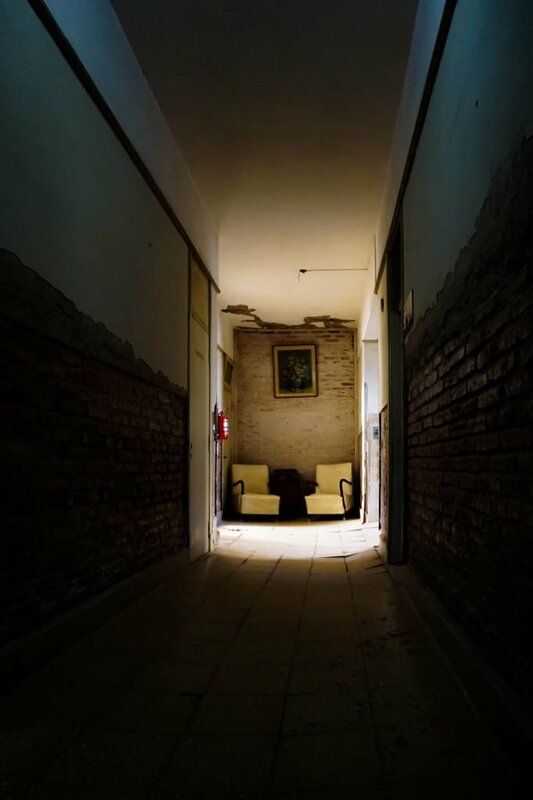 Haunted hallways inside the Gran Hotel Viena of Argentina. I highly recommend a visit if you are in the area, or able to access Miramar by car. 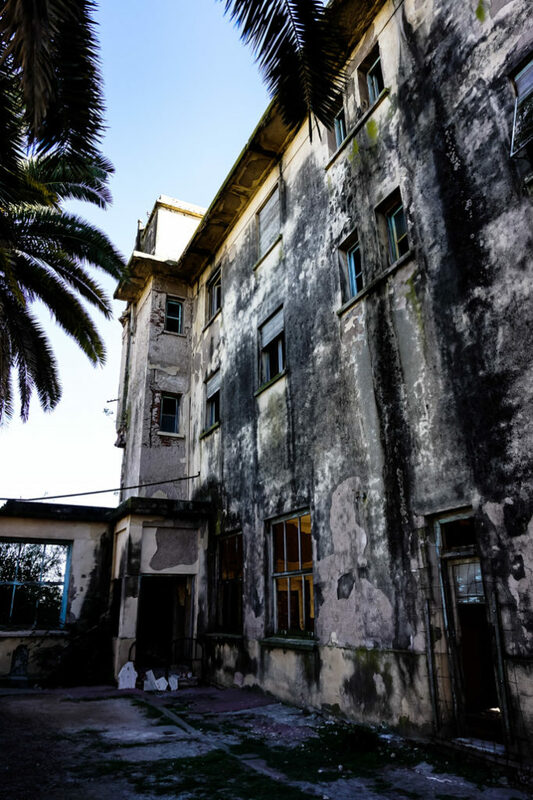 If you are looking for other haunted places in Argentina to explore, check out the Eden Hotel, which shares a similar history to the Gran Hotel Viena. Hi Travis. Thank you so much for the correction. Glad you enjoyed the article. You’re welcome. It’s one place I would love to visit. Max would be a cousin of mine. I am glad you posted the pictures, nice to see what it looks like inside.